Since 2008 Change Media have worked with Ngarrindjeri to develop videos and digital art, every year tailoring training so Ngarrindjeri have their own media team. 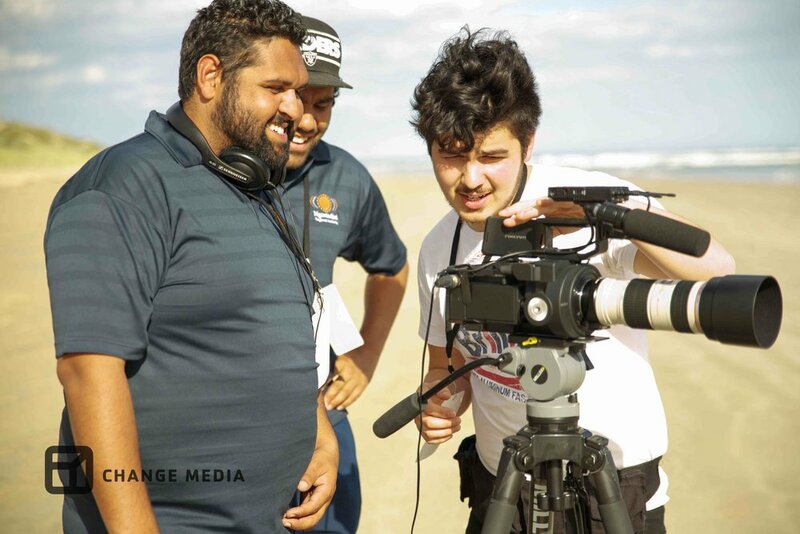 Ngarrindjeri and Change Media have developed a successful cross-cultural partnership, which has enabled Ngarrindjeri communities to tell their stories using digital media and increase their cultural capital. The resulting award winning works have screened on national TV, in international arts and film festivals and exhibitions and are used to reach new audiences. This strategic media arts partnership has increased awareness of Ngarrindjeri culture and wisdom. The Ngarrindjeri Media Team has developed the skills to create in-house videos and digital content for the Ngarrindjeri Regional Authority and on the larger productions are creative collaborators, storytellers, artists (photography, editing, sound, writing), production assistants and media crew, winning awards nationally and globally. Laurie Rankine Jnr and Owen Love are part of the Ngarrindjeri media team. Laurie and Owen have worked as cultural heritage rangers, artists and digital media trainees, with Luke Trevorrow as their Cultural Heritage Manager at the Ngarrindjeri Regional Authority. Laurie represented Ngarrindjeri at the Regional Arts Australia conference Kumuwuki in 2012. Luke spoke at the Los Angeles My Hero Festival to represent Ngarrindjeri and Change Media’s collaborative documentary Nukkan Kungun Yunnan.